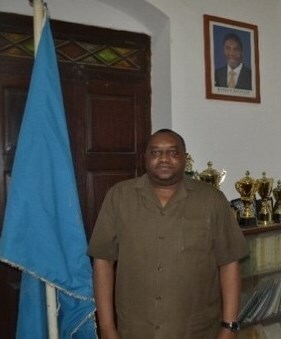 ZANZIBAR, TANZANIA–The Zanzibar Local Government Association (ZALGA) has been launched. The association will act as a representative voice for Zanzibar Local Government Authorities to all governments, institutions, and organizations and will aim to encourage citizens to be proactive in the civic process of their local governments. Khamis Juma, founder and coordinator of ZALGA and head of the Department of Urban Planning and Construction, sees the association as an advocacy tool. ‘We need to ensure that ZALGA is at the forefront to lobby with the government, connect with partners, and seek support from other organizations,’ said Khamis. ZALGA’s revitalization, governance and management strengthening has been made possible through the Feed the Future Tanzania Enabling Growth Through Investment and Enterprise Program, a four-year initiative funded by USAID. ‘If you don’t help yourself, no one will help you,’ said Mayor Khatib. The Enabling Growth Through Investment and Enterprise Program is awarded through the Volunteers for Economic Growth Alliance and funded by USAID, as part of the Feed the Future initiative. IESC implements the program in partnership with Mennonite Economic Development Associates and the International City/County Management Association, and local Tanzanian firm, Diligent Consulting. Feed the Future is the U.S. Government’s global hunger and food security initiative. With a focus on smallholder farmers, particularly women, Feed the Future supports partner countries in developing their agriculture sectors to spur economic growth and trade that increases incomes and reduce hunger, poverty, and undernutrition. USAID is the leading U.S. agency working to end extreme poverty and enable resilient, democratic societies to realize their potential.